Lottie’s cockpit sheet winches are the original bottom-handled Tuphwinches . Because they are wider than the cockpit coaming on which they are mounted, they required a wider base. This was orginally provided by two shapely bulges of teak bolted to the sides of the cockpit coaming and a flat ovalish piece of teak on top of the coaming accommodating the winches. 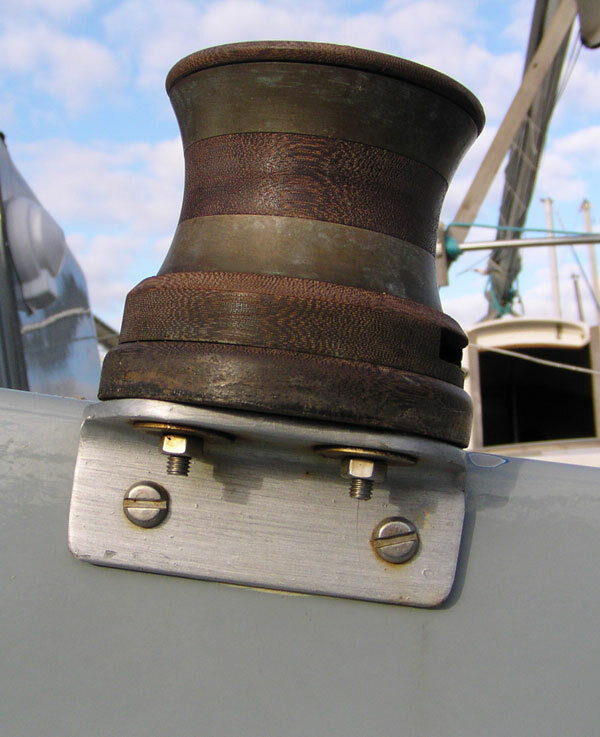 A pair of large clam cleats to secure the tail of the sheet . All the wornout cockpit coaming wooden trim was removed for repainting the deck moulding and has yet to be replaced. So at the moment these teak mounting pods have been removed and await refitting. In the meantime, the winches are mounted on two temporary 50mm stainless steel angle brackets and two new clam cleats have been fitted to the coaming top. 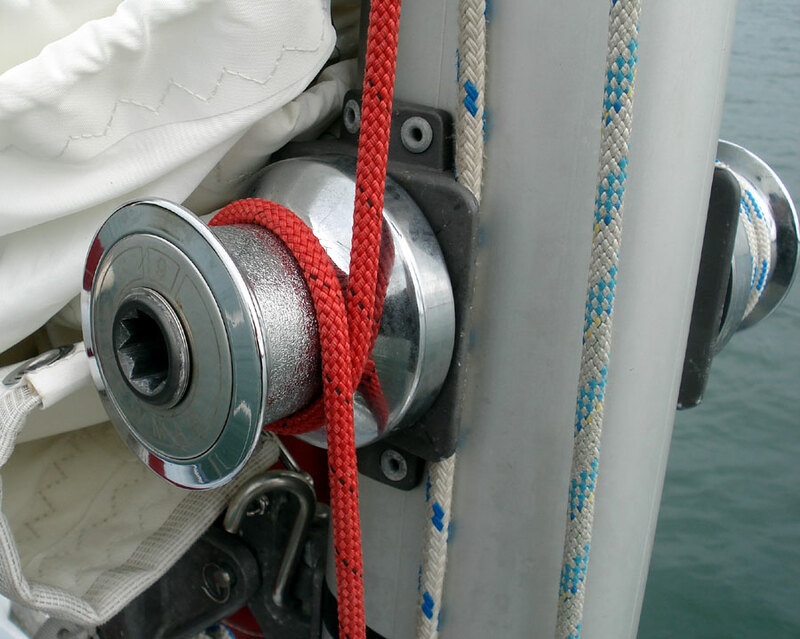 The brackets are not wholly satisfactory as the turns of the idle windward sheet when slack can slip down the winch and snag under the bracket. 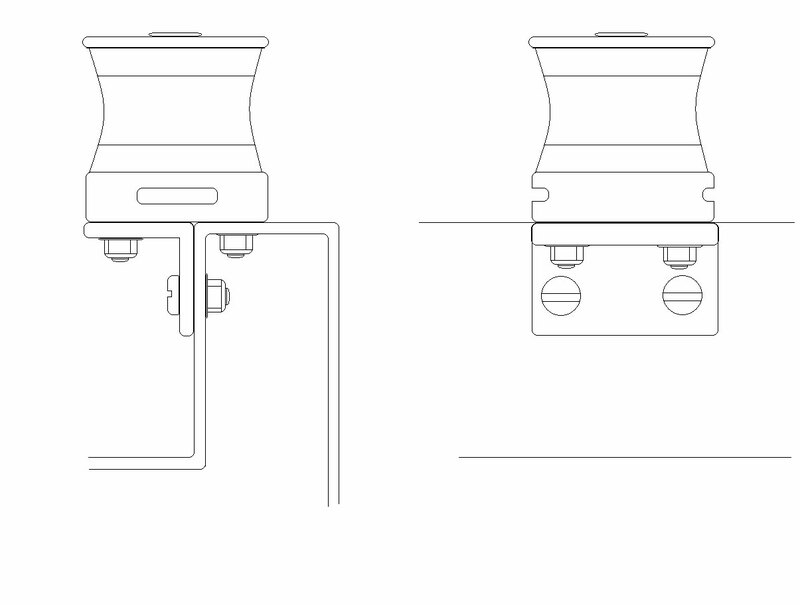 The plan is (when the coackpit coaming teak trim is replaced) to hollow out the pods slightly so they can be fitted over the stainless brackets. The 50mm steel angle used is only A2 stainless steel and therefore subject to surface rusting in marine situations so the brackets have been painted. A4 stainless angle was more difficult to source. 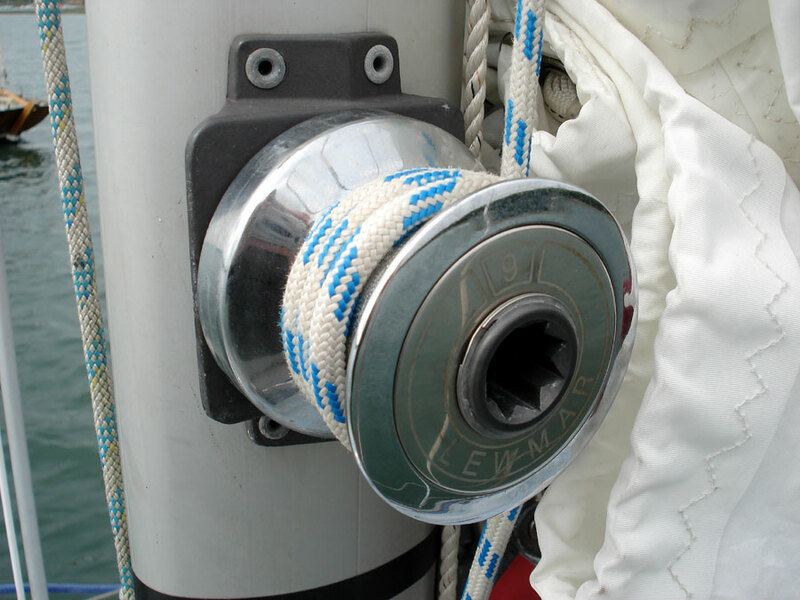 The mast has two Lewmar No 6 winches bolted to pads that are pop-riveted to the mast. These are mostly used to tension the main and genoa halyards.